The war in Syria is a humanitarian crisis without easy solutions. Amid concerns that refugees will endanger public safety, some states are welcoming refugees, refusing to turn them away out of fear. A small town in Vermont is betting that in fulfilling its humanitarian duties, it will be able to turn around its economic fortunes as well. Rutland is a town in the middle of Vermont that’s losing population due to decreased fertility rates and migration to the area. Advocates for resettlement are hoping that an increase in population, albeit small, will encourage larger employers to remain in the area, and a more diverse culture will eventually spur an increase in young immigrants. A grassroots nonprofit, Rutland Welcomes, is doing its part to make sure refugees feel welcome and have what they need to get settled. In addition to that, they are fighting to make sure that the citizens of Rutland are properly informed about the refugees, which could relieve some fear of the resettlement. As one might expect, the small community is not unanimous in its support. Another group, one opposed to the resettlement plan, Rutland First, sees the refugees as a financial burden carried by locals still reeling from the recession. Additionally, the group sees the potential for danger if one of the refugees is a hostile agent, despite the fact that the likelihood of anyone in the U.S. being killed by a terrorist is preposterously low. From a standard of living perspective, moving from a war-torn country to the United States is an almost unfathomable improvement. Sometimes, the easiest way to improve a person’s life is to let them move to a place where it isn’t so fragile. From an economic standpoint, this is likely a boon for the small town of Rutland, especially if the town has jobs left unfilled, as the article alludes. Immigration tends to lead to economic growth, especially from the second generation onward. 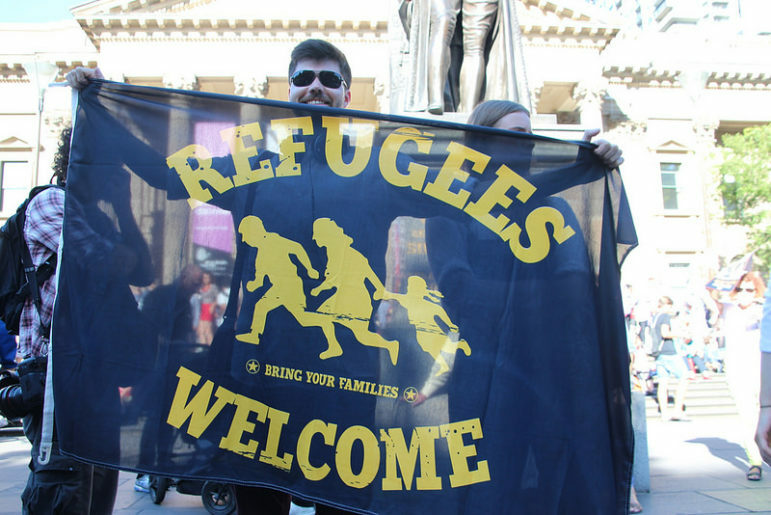 To spurn these immigrants for fear of terrorism or difficulty catering to their needs seems shortsighted. Hopefully, Rutland Welcomes can help alleviate some of the possible costs.